With only a third of Australian businesses currently adopting a social media presence, many are missing out on business opportunities – including unparalleled market reach – and financial incentives. We may not be marketing specialists, but when it comes to the advantages of social media for business, the numbers speak for themselves – and we do know numbers! Let’s take a look at how you can make the most of social media marketing tools to engage with your customers, increase your profit margins and reap tax benefits. Everyday Australians’ use of the internet and mobile devices are still on the increase. There were approximately 13.5 million internet subscribers and approximately 25.4 million mobile handset subscribers in Australia at the end of December 2016. Sensis recently reported that 79% of Australians now use social media, a figure 10 percentage points higher than last year. Almost all Australians aged 18–29 years are on social media (99%) and usage in the 30 to 50 age bracket is around 90%. Almost half the population of people aged 65 and overuse social media too. Most consumers (81%) access social media on their smartphones. More than a third of people (35%) now access social media more than five times per day, and a quarter (24%) use social media to follow brands or businesses. Ninety-five per cent of social media users prefer Facebook, 24% use LinkedIn and 19% are on Twitter according to Sensis. But in such a dynamic digital environment, popularity and preferences quickly change and new platforms regularly emerge. It’s best to engage the services of a marketing professional to advise which platforms are best suited for your business. Considering expanding your business to include the digital market? The retail space has been radically transformed by the digital revolution. According to the Australian Bureau of Statistics (ABS), online retail continues to grow in Australia, with a total worth of $983.7 billion in May 2017 – a figure that’s almost doubled since 2013. Having an active, engaging social media presence will nurture your relationships with customers and provide an effective way of driving traffic to your business website. In addition to increasing the potential size of your market, using social media offers other benefits for your business, including the tax deductibility of marketing expenses. 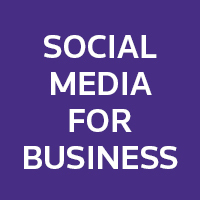 While setting up an account on a social media platform like Facebook, Instagram or Twitter comes at negligible capital expense in comparison with setting up a business website or creating an app, the marketing expenses associated with updating and maintaining business social media content can be tax deductible as incurred under revenue. hiring an agency or contractor to conduct these types of campaigns. Remember, as with all deductible expenses, the costs incurred must be directly related to your business activities, and keeping detailed records and receipts is essential. If you’re thinking of taking your business online, including using social media for marketing, we’re here to help you leverage the best tax results. What’s not to Like about that? Get in touch with us at Advivo on 07 3226 1800 or through our Contact Form.